Knighted last year (2014) in Belgium for his body ofwork focusing on education Mr. Carmer thereby earned the title of Sir. Adam was honored as the 2013 teacher of the year in the William F. Harrah College of Hotel Administration at UNLV where he has spent the last 19 years building students knowledge, specifically in the area of alcoholic beverages. In the mid 1990’sAdam became Steve Wynn’s first Hotel Sommelier. Looking to add value to Las Vegas and the world he followed his entrepreneurial conscience and opened his own food and beverage establishment. After establishing the first craft beer bar in Las Vegas in 2002 with the Freakin Frog, Sir Adam went on to open the first Whisky only bar in the USA, The Whisky Attic. While operating these venues and continuing his research in alcoholic beverages he developed a number of philosophies and systems. In 2008, Sir Adam Carmer developed a new method of tasting alcoholic beverages. This new discovery of a more advanced hierarchy of sensory perception led to classes, seminars, speeches and a loyal following of people using this new technique. Officially named the Carmer Spirits Tasting Enhancement Method it more commonly goes by the moniker of CSTEM. Currently Adam spends his time teaching, consulting and judging and writing about alcoholic beverages. Sébastien Gavillet is a wine and whisk(e)y consultant and a winemaker with 20+ years' experience in the industry. Sébastien is COO of Wine Aromas-Le Nez du Vin, a world leader in coffee, wine and whisk(e)y sensory education. He is also the Head of the International Whisky Competition tasting panel, a book author, and an entrepreneur. As a wine and whisk(e)y consultant, Sébastien provides wine/whisk(e)y tasting, blending, and production evaluation services as well as marketing and branding guidance to wineries and distilleries. He educates professionals and corporate clients through seminars and workshops. He advises collectors on acquiring and maintaining their wines and spirits collections. He is also a recurring judge at international wine competitions. Sébastien developed the new IWC (International Whisky Competition) Medallion rating system and blind tasting procedure, and he designed the WhiskyVibe Tasting App for single malt Scotch whisky enthusiasts. Sébastien also co-founded both SLK Production and Master Barrel; the former produced affordable wines, while the latter is focused on selecting and producing world-class wines and spirits. Sébastien's published works include Discovering & Mastering Single Malt Scotch Whisky, The International Whisky Guide 2016, The International Whisky Guide 2017, The International Whisky Guide 2018, and the upcoming "Petit" Arvine, mon amour. He is also read in more than 180 countries through his blog, www.WineVibe.com. For more info please visit him on LinkedIn or Gavillet.com. 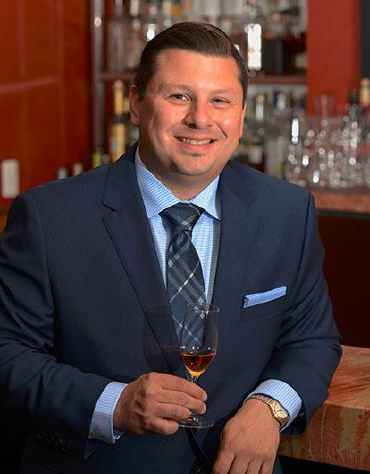 One of the world’s foremost mixologist, Francesco Lafranconi is the Executive Director of Mixology and Spirits Educator for Southern Glazer's Wine and Spirits of Nevada. Francesco’s personal appeal has made him a hit with his A-list celebrity clientele, world-class corporate clients, world renowned michelin star chefs, national restaurant chains, international hotel companies and the thousands of people who’ve attended his seminars and live events around the world. His distinguished career includes tenures at the helm of some of the world’s leading hotel bars — The Gleneagles in Scotland; The Palace Hotel in Gstaadt, Switzerland; The Intercontinental Hotel in Cologne, Germany; and Harry’s Bar and Hotel Cipriani in Venice, Italy — and winning many of the world’s most prestigious cocktail competitions — including the Bacardi-Martini Grand Prix World Final and J.White Course in Singapore — but his proudest achievement is founding the Academy of Spirits and Fine Service in 2000, a 12-week education program that has trained over 1000 beverage professionals and imbued them with the same enthusiasm he brings to every cocktail. Most recently awarded Best In Show at the Iron Mixologist Competition sponsored by Wine & Spirits Wholesalers Of America. Winner of many high-profile print awards including the Bartender Hall of Fame Award from Bartender’s Magazine, the Raising the Bar Award from Cheers Magazine, Mixologist of the Year Award from Nightclub and Bar Magazine, Spirit Professional of the Year from Santé Magazine and Tales Of The Cocktail’s Golden Spirit Award. He also contributes with his mixology expertise to national publications like the Robb Report Magazine’s Host Guide since 2009. Francesco recently designed and oversaw fabrication of an innovative under bar work station know as The Racetrack. Francesco is an honorary member of The United States Bartenders Guild, and a National Ambassador and Founding Member of the US Bartenders Guild Master Accreditation Program as well as Member of the Museum of the American Cocktail. Since 2010 Francesco has been a member of the San Francisco World Spirits Competition. He owns the Level 1 Sake Certification by the Japanese Sake Council and he is also an international Cognac Ambassador appointed with Gold Diploma by the B.N.I.C. (Bureau National Interprofessionnel du Cognac). In March 2015, he graduated from the Luis Ayala Rum University. John has spent 20 years in the hospitality industry that has extended from Concierge at a 5 star, Relais & Châteaux property to computer operations director for a 30 restaurant and hotel group. In 1997, he turned to the restaurant and beverage industry, which has taken him from world-renowned resort locations to the culinary cities of New Orleans and Las Vegas. Over the years, he has served as beverage manager, bar manager and most recentlythe Director of Wine at Caesars Palace. 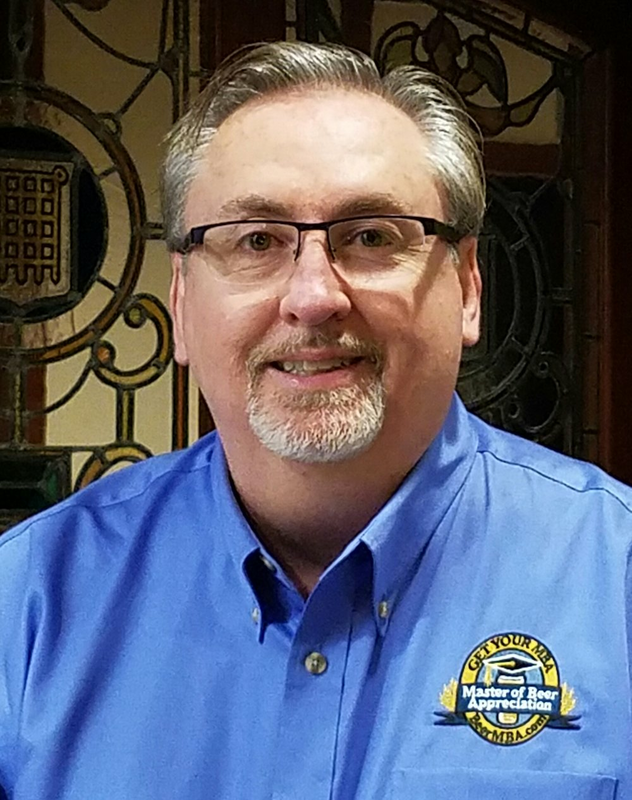 John holds certifications from various organizations in Saké, beer, wine, and spirits, but he is most proud of mentoring a vast number of professionals over the years who have moved on to become directors, managers, and owners of their own organizations. John is currently working with "PowerfulThirst.Com", a new educational/professional growth website for the beverage industry. John's hobbies are drinking in good company, drinking in new company, finding new watering holes, and finding old watering holes that are new to him. Debbi began bartending 20 years ago when she moved from Chicago to Maui, Hawaii. After three years, a few thousand Piña Coladas and Mai Tai’s, it was “back to reality” and back home to Chicago where she trained under Master Mixologist Bridget Albert. After taking the Academy of Spirits and Fine Service and the Advanced Mixology Culinary Academy, Debbi caught the competition bug which allowed her to win several national and international competitions in Italy, France, Poland, Singapore, Taiwan and St. Martin. Before joining Southern Wine and Spirits of Illinois’ Education Department in 2012, Debbi ran the Farm to Table cocktail program at The Bristol and the first “Amaro” based cocktail program in Chicago at Balena. As the previous Southern Wine & Spirits of Illinois’ Mixologist, Debbi designed cocktails for the top restaurants, bars, hotels and lounges in the State of Illinois in addition to teaching at the Academy of Spirits and Fine Service and Advanced Mixology Culinary Academy. Ms. Peek was honored by the James Beard Foundation as one of the Nation’s Top Female Mixologists in 2008 and was a 2011 nominee for Jean Banchet’s “Best Mixologist” Award. She is a three time National Champion in the I.B.A. World Cocktail Challenge (2007, 2010 and 2011) and was a cast member on Season 3 of the reality bartending show “On the Rocks” The Search for Americas Best Bartender. Debbi has been featured in the following publications: Chicago Tribune, Time Out Chicago, CS Magazine, Michigan Avenue Magazine, Chicago Social, Night Club and Bar, Cheers Magazine, Red Eye, The Reader, and United Airlines Hemispheres. Newly-relocated to Florida, Debbi is the currently the Mixologist for Southern Wine & Spirits Florida in Tampa and looks forward to serving all of North Florida with her expertise. She also serves on the USBG National Charity Committee. Alex Renshaw is a founding partner of The Dogma Group. He graduated from Miami University (OH) with a Bachelor’s Degree in Marketing. Alex worked for four years managing multiple sales teams for Frito Lay in Cincinnati, OH and worked in multiple bars on the side. Moved to Chicago to pursue improv comedy and work in a bar. Landed at Sable Kitchen and Bar, learned how to make a proper drink, and never turned back. After 2.5 years with Sable, Alex went on to run DrumBar at the rooftop of the Raffaello hotel in conjunction with being the beverage director for Menin Hospitality (Miami, FL). He is currently consulting on the following projects with The Dogma Group: Presidio, The Dawson, The Gage, and Fernet-Dogma with CH distillery. Outside of his work with Sable and DrumBar, Alex is a current member of the Tales of the Cocktail Cocktail Apprentice Program (CAP) leadership team. He has helped execute and organize back of the house operations as a CAP for the past 3 years and has joined the leadership team for 2015 Tales of the Cocktail planning. Max Solano is a primary mixologist for Southern Glazer’s Wine & Spirits of Nevada, as well as the Head of Whisky Education and Relations. Solano is an extremely seasoned industry veteran that has become one of Las Vegas’ most exciting, respected and creative mixologists and educators. Max’s expertise on whiskies extends to all major whisky producing countries; their styles, production, brands and laws. In regards to cocktails, his passion for a well-crafted libations extends to all spirits, but he puts a particular emphasis on the whiskies of the world. Along with having won several national cocktail competitions, and having received many accolades and awards over his years behind the bar, in 2011, he was named Bartender of the Year by the Nevada Restaurant Association and also Best Restaurant Bartender by Vegas Seven Magazine. In 2014, again, he was named Bartender of the Year by Desert Companion Magazine. And, in 2016 he was awarded Best of Show and overall champion at the WSWA’s Iron Mixologist competition. Solano, also, currently serves as a Spirits judge at both the coveted San Francisco World Spirits Competition and New York World Wine & Spirits competitions. Solano has been featured in many media outlets, including Forbes Magazine, USA Today, Whisky Advocate Magazine, Shanken News Daily, New York Times, Saveur magazine, GQ Magazine, The Tasting Panel, LA Weekly, Imbibe Magazine, Cheers Magazine, Las Vegas Review Journal Vegas Seven Magazine, Today in Las Vegas, Style Magazine, Las Vegas Food & Beverage Magazine, Fox News, ABC’s “The Morning Blend,” “The Valley View” and many more. Ron Smith has a passion for all types of whisky and beer, and he brings a wealth of judging experience to the competition. As a Master level judge in the Beer Judge Certification Program (BJCP), and with over 25 years of judging and brewing experience, Ron is one of the highest ranking beer judges in the world, and judges at multiple prestigious international competitions, including the Brussels Beer Challenge in Belgium, and the Aro Rojo Competition in Mexico. He is also a Certified Cicerone™, which is a tested and proven beer expert / beer sommelier that focuses on beer & food pairings and beer serving issues. Ron teaches college courses in Professional Brewery Operations, World Beer Styles, Beer Evaluation & Sensory Analysis at Indiana University (IUPUI Indianapolis campus), and conducts private training, exam prep, consulting, off-flavor programs, and more, for alcoholic beverage distributors, industry personnel, breweries and the general public. Ron also leads guided beer-focused trips throughout Germany, Belgium and the Czech Republic. While heavily focused on beer, whisky is never far from Ron’s reach. Growing up in Central Indiana, just a couple hours away from the famed Kentucky Bourbon country, Ron first developed a passion for Bourbon and Tennessee Whisky, but that was just the start of an appreciation for anything barrel-aged. Ron has a deep appreciation for the art and science of fermentation, distilling, and barrel-aging, as well as the unique differences in how whisky is made around the world. Ron also enjoys educating others about whisky and leads a social media group on the topic, conducts tastings, etc. Ron has an MBA in Marketing and owns MarketWise Solutions, a B2B marketing firm in the Indianapolis area. 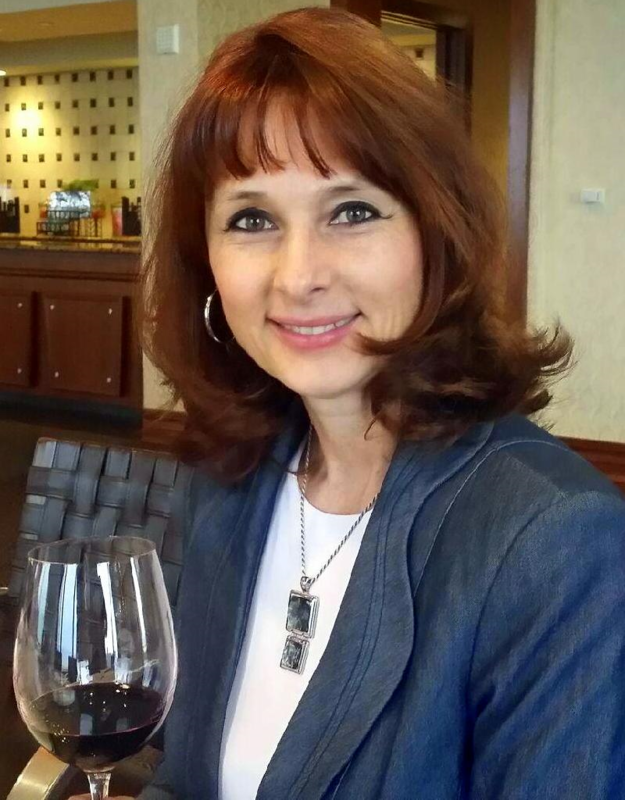 - Founder, Red Grapevine Tours, Ltd.
Agi is a Sommelier, wine educator and wine writer who holds the internationally acclaimed Level IV Diploma in Wine & Spirits from the Wine & Spirits Education Trust in London, the certification leading to the Master of Wine. In addition she has an MBA from the Thunderbird School of Global Management and a degree in French Literature. As a certified wine judge, she keeps her palate active by participating in various wine competitions, and as a spirits enthusiast, looks forward to judging at the annual International Whisky Competition. She has been published in various magazines including Edible Michiana and Omaha Magazine. Agi worked for over 15 years in hospitality managing wine cellars, beverage lists and creating wine and culinary events for foodie enthusiasts like herself. At one point, she asked herself how she could combine her passion for sharing wine and spirits with others in her beautiful city of Chicago and across the globe. Voila! Red Grapevine Tours, Ltd. was born and she now leads tours for anyone and everyone who enjoys sharing wine, spirits and food."